Turmeric is an herbal plant that contains compounds with anti-inflammatory properties, these compounds are called curcuminoids and are found in curcumin (a substance within turmeric). Turmeric has been known to have medicinal properties throughout the history of ancient medicine, but recent studies in modern medicine have made this supplement continue to rise in fame. Curcumin has been found to block the molecules which cause inflammation in the body. Inflammation is a well-known underlying component of most degenerative diseases like arthritis, cancer, Alzheimer’s, and multiple sclerosis. Increased cases of these diseases in Western civilization has raised awareness about combative measures, including the use of herbal supplements like turmeric and curcumin. In addition to its powerful anti-inflammatory properties, turmeric enhances the body’s ability to fight free radicals. This in turn reduces oxidative damage—known to cause aging and some diseases. The demand for herbal supplements, especially one as beneficial as turmeric, is driving the market in cosmetics, food, and particularly pharmaceuticals. Growing knowledge of its medicinal properties will also expand this market through the year 2022 and it is expected to reach 94.3 million dollars, with North America projected to demand the largest supply of supplements containing curcumin. Turmeric’s natural, healing ability will also increase its usage among consumers, as preference is shifting away from synthetic alternatives. 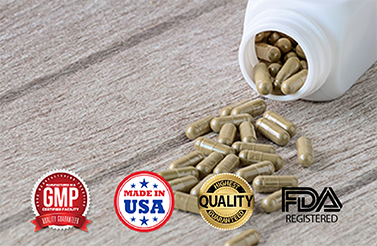 BioThrive Sciences provides private label manufacturing and contract manufacturing of all natural supplements, including turmeric supplements and curcumin supplements. Our state-of-the-art facility ensures pure, quality ingredients that are never cross contaminated. Additionally, customers have the option of custom formulation. If you are seeking reliable, quick service for supplement manufacturing, contact BioThrive Sciences today! Our herbal supplement experts provide start-to-finish services, from label design and compliance to distribution. Contact us online or call our helpful customer service team at: +1 (844) 263-3657.